On this conceptual level, everything seems simple and straightforward. However, having assisted new FAIR practitioners with finding, placing, and piecing together the puzzle pieces that compose the Forms of Loss (hereafter abbreviated, FOL), I’ve learned that the devil is in the details. 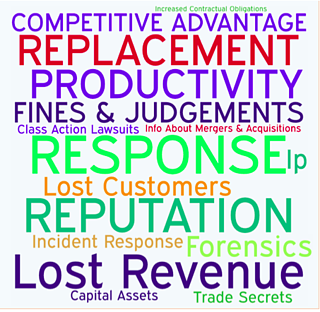 Download an infographic showing the FAIR model and the Forms of Loss . Please note: Response is italicized because this is the FOL that most often occurs as both a P and S FOL. And of course, like any other general rule, there are always atypical situations that merit exceptions. There will be occasional times when the typical P-FOL appear as S-FOL and vice versa. Just a friendly practitioner’s comment: not all FOL manifest in each analysis. The scope of the analysis will dictate which FOL are applicable. 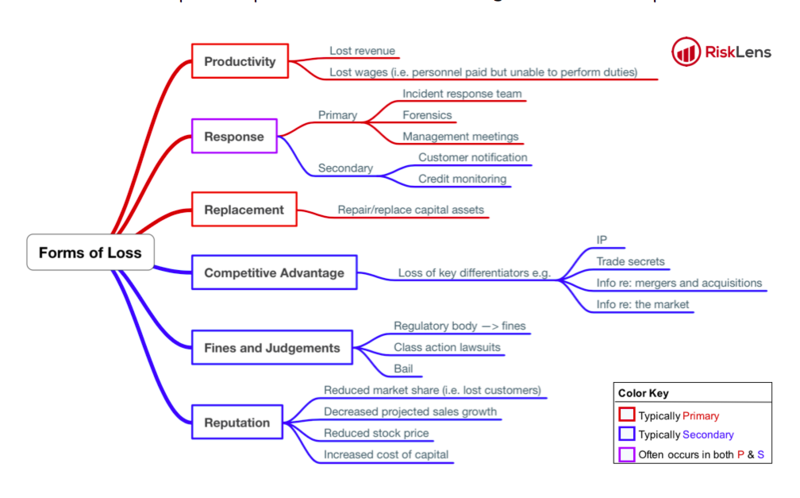 Please note: the mind map does not include an exhaustive list of FOL subcomponents but merely offers examples. For a more thorough elucidation, reference Measuring and Managing Information Risk: A FAIR Approach by Jack Freund and Jack Jones. Remember, risk = probable frequency and probable magnitude of future loss. Piecing the FOL puzzle pieces together is crucial for providing visibility into Loss Magnitude and subsequently, risk. Hopefully this crash course helps dispel the devilish details and empower FAIR practitioners to capture the Loss Magnitude.